← Memorial to Bob Perkins; Held at Zephyrhills to-day, 2018 12 30. 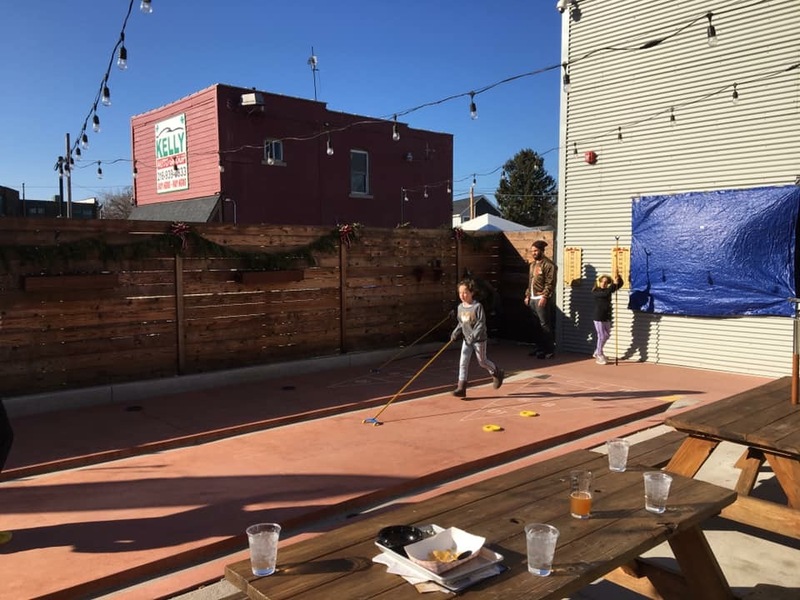 On the last Sunday of the year, Forest City Shuffleboard Club in Cleveland, Ohio hosted a one day double elimination doubles tournament. The courts were beaded which gave an advantage to the Ohio Experts over the local teams who play their league games on untreated concrete. In a key first round matchup, Lakeside’s Marylin Phifer and Canton’s Marvin McConnell earned an early lead and outlasted Lakeside’s Steve Nevison and Bob Jones, Jr. Both teams kept winning and hours later, matched up again in the finals. This time Steve and Bob took advantage of early misses and stole blocks in the first frame. Bob followed by kitchening a partially hidden low seven on his hammer. And Steve and Bob were able to maintain the advantage and win the tournament. Teams from Forest City struggled with courts running much faster than they are used to, but still acquitted themselves well, placing 3rd and 4th, ahead of some Experts. All enjoyed sharing shuffleboard knowledge and love. Happy New Year and Happy Shuffling to all! Bob Jones. The picture shows families enjoying shuffling on Forest City’s outdoor courts on a sunny 40 degree day while the tournament was taking place on some of the indoor arena courts.